A frisky equine outing from a master paper engineer...the special effects are well worth taking the extra care required to keep them intact. An exhilarating ride—for horse lovers, art lovers, and students of design. 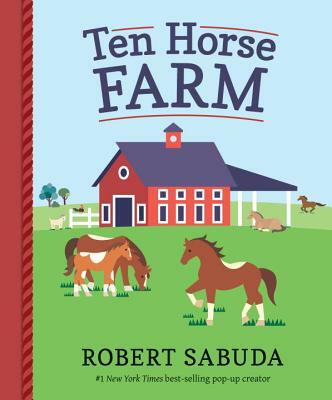 Sabuda’s own striking artistry is on display in 10 pop-up scenes of as many horses and additional farm animals...This is a beautifully engineered pop-up gem.